Why you need us on your team? 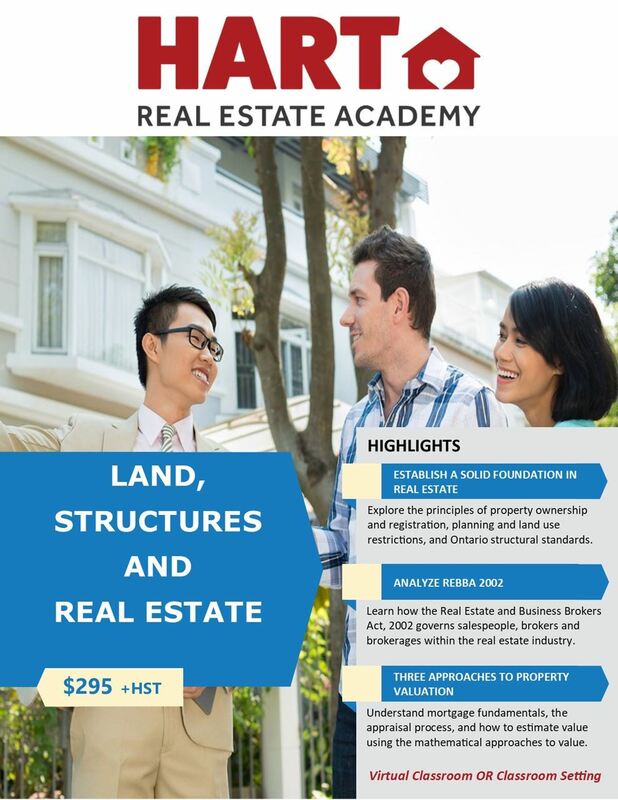 This virtual class is facilitated by a certified real estate Instructor and industry Professional to help you navigate through the fundamentals of real estate, including the mathematical approaches to value, REBBA 2002, agency and multiple representation. Class is open for registration during the month with both day & evening sessions to ensure you are able to meet your life-work-study schedule needs and complete the course within your personal time frame.